Which pair do I wear today? Love these earrings; quality, simplicity and elegance personified. I am extremely pleased! 5 carats of genuine gemstones at this exclusive price Sounds like a sweet deal. Now ear this! For a limited time you can treat someone special to 10 genuine gemstones for less than three boxes of scrumptious candy. Calorie-free indulgence never looked better. 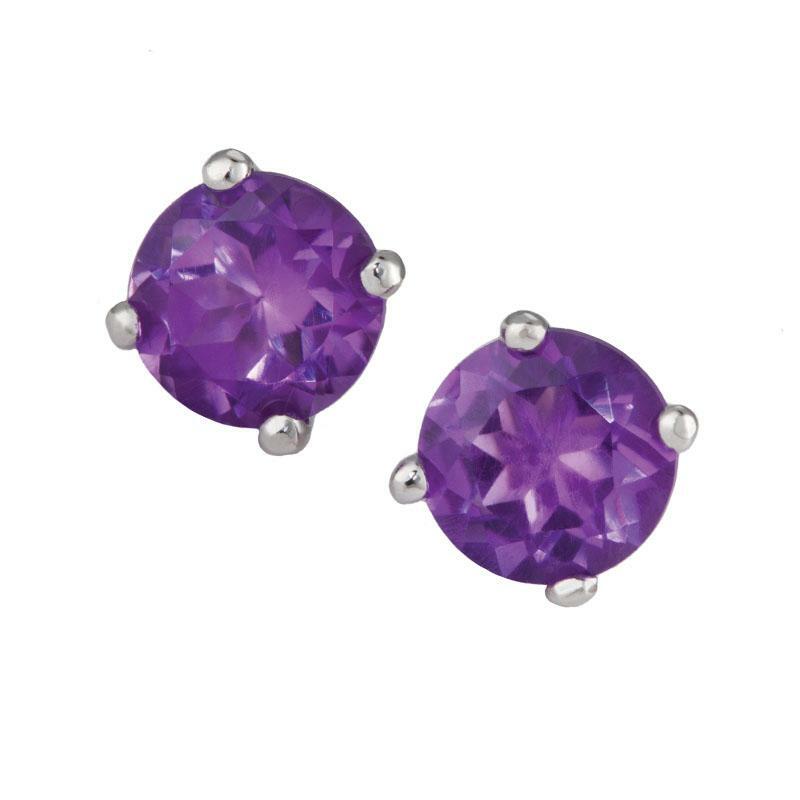 With our Ear Candy Gemstone Collection there's no need to choose your favorite gemstone. You can treat yourself to a delectable array of sparkling, genuine gemstones priced to be guilt-free. Some serious gem shopping resulted in a collection of 5-total carats of nature's most gorgeous gemstones. Not just any gemstones. We wanted gemstones known for their signature colors. We also wanted a cut that best accentuated their distinct hues. And, we wanted a value so tempting it would be impossible not to indulge. We're happy to say our hard work paid off. Getting 5-carats of top-quality gemstones like amethyst and blue topaz could cost thousands of dollars. But now for a limited time only, you can partake in 5-carats of mother nature's most delectable gemstones at this exclusive price! 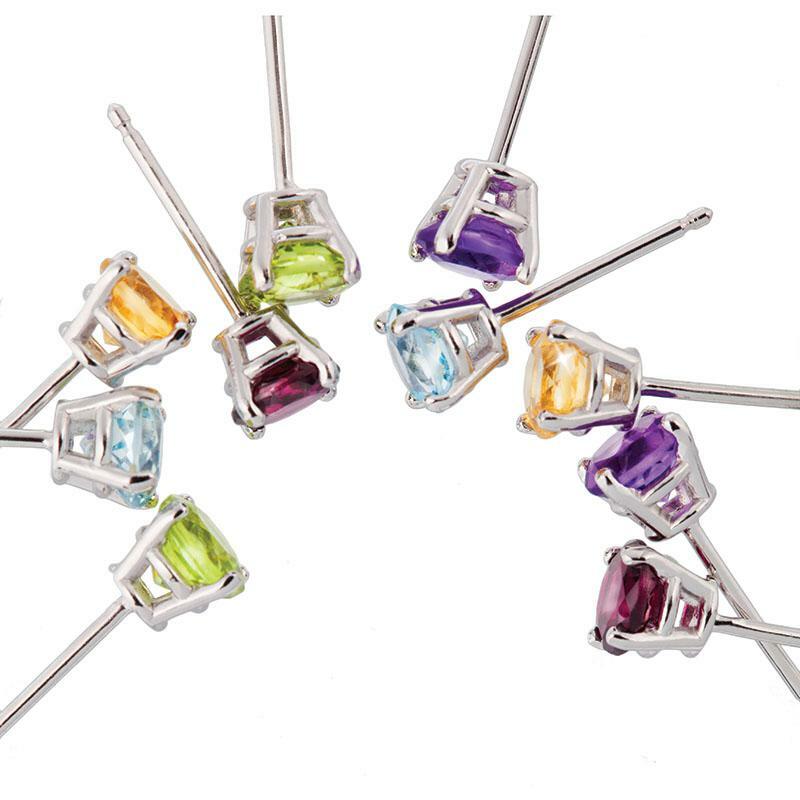 Here's your sweet deal: a quintet of genuine gemstone studs featuring decadent grape amethyst, zesty orange citrine, juicy lime peridot, luscious berry garnet, and icy blue topaz. Each tantalizing gemstone is round cut and set into highly-polished .925 sterling silver.